 AHA Supports Rural Hospital Protection Act - ONRAD, Inc.
As a supporter of many Critical Access Hospitals via teleradiology coverage, this is a very important Act to pass. These hospitals provide an extraordinary service to the communities in which they reside and deserve tax breaks in order to survive. Without these fully functional hospitals, many critical patients would have to be transferred miles away to receive treatment even when a delay in treatment can have significant consequences. Many of these Critical Access Hospitals do a great job minimizing costs in order to provide services. For instance, many leverage telemedicine or teleradiology in lieu of hiring a full time practitioner or radiologist. With all the cuts in in healthcare, I certainly hope this Act isn’t overlooked. HealthLeadersMedia | The American Hospital Association is throwing its weight behind the Rural Hospital Protection Act, legislation that would ensure that critical access hospitals continue to be reimbursed for provider taxes they pay to states. As it currently stands, CAHs are allowed to include provider taxes in their Medicare cost reports as long as they relate to “costs actually incurred” for the “reasonable and necessary cost of providing patient care.” However, a “clarification” in the 2011 final Hospital Inpatient Prospective Payment System (IPPS) rule calls for Medicare contractors to determine on a case-by-case basis whether the provider taxes are allowable. Although the Centers for Medicare & Medicaid Services says this is simply a clarification of a longstanding rule, the AHA counters that reimbursements for provider taxes should always be allowed. “It’s a regular old tax. It’s our position that, as any other tax, you should be able to claim that on your cost report and be reimbursed for the Medicare portion,” Joanna Kim, AHA senior associate director of policy, said in an interview with HealthLeaders Media. Although CMS says the clarification would have “no financial impact” on CAHs, AHA said in AHA News Now that “the agency’s policy is jeopardizing the financial sustainability of CAHs.” Kim maintains that the clarification would have a significant financial impact on CAHs, potentially reducing their revenues by as much as 5%. She says CMS’s reasoning for the clarification is that since “providers pay this tax, and in return, they might receive Medicaid DSH (disproportionate share hospital) payments, for example,” it’s not a real cost to the hospital. But Kim says that from AHA’s perspective there is no quid pro quo; CAHs don’t pay five dollars in taxes and get five dollars in DSH payments. So if all of these taxes are legitimate, reviewing them on a case-by-case basis shouldn’t be a problem, then, right? And the promise of case-by-case reviews doesn’t bode well in itself. The Rural Hospital Protection Act (H.R. 1398), was introduced last week by Reps. Sam Graves (R-MO) and Ron Kind (D- WI), and Kim urges CAHs to advocate for its passage.